Each month, the American Academy of Ophthalmology recognises one or more observances dedicated to raising awareness of important eye health topics. It has designated June as Cataract Awareness Month to increase the awareness of cataract and its treatment options. A cataract is a clouding of the normally transparent crystalline lens of the eye. The lens plays a very important role in causing light rays to be sharply focused on the retina, the light-sensitive nerve layer at the back of the eye. Hence, clouding of the lens impairs the focusing of light rays and can drastically reduce vision when the lens clouding is significant. Cataract is the leading cause of visual impairment worldwide. Left untreated, it can lead to blindness. In general, the longer a cataract remains in an eye, the more difficult it is to remove it safely and efficiently. Hence, early detection and prompt treatment of visually significant cataract is recommended to restore sight. The vast majority of cataracts are related to ageing. With rapidly ageing populations in countries such as Singapore, the proportion of individuals with cataract in the population is likely to grow in the near future. 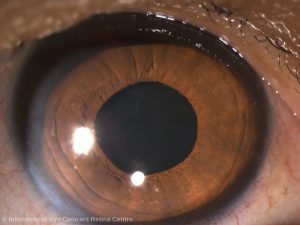 Occasionally, cataract develops due to eye injury, eye surgery, severe short-sightedness, long-term intake of certain drugs (eg, steroid) or diseases such as diabetes mellitus. Cigarette smoking, excessive exposure to ultraviolet light, intense heat and radiation are also known risk factors for cataract development. 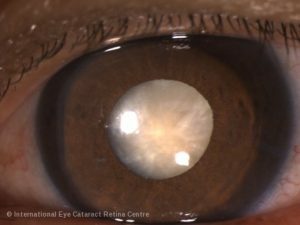 Visually significant cataract can present with a wide variety of symptoms such as blurry vision, loss of contrast, glare and haloes. These symptoms affect common activities of daily living such as reading, driving and recognising faces. The visual impairment from cataract can also increase the risk of falls and is associated with depression among the elderly. Despite being readily treatable, cataracts often go undiagnosed. In Singapore, it is estimated that about two out of every three individuals with cataract are undiagnosed and may not be aware that they suffer from the condition. Many of these individuals are likely to have cataract in both eyes. Age-related cataract usually starts to become apparent after the age of 50 years. However, visual symptoms may not become obvious until many years after the cataract has developed. Visual symptoms of early cataract can sometimes be managed simply by changing spectacles prescription, using a magnifying lens, or increasing lighting when performing visually demanding tasks. 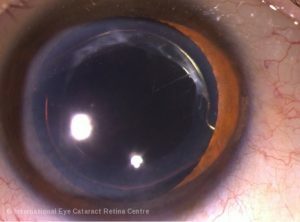 Eventually, as the cataract progresses, the definitive effective treatment is cataract surgery. One should consider surgery when visual symptoms start to affect one’s activities of daily living. 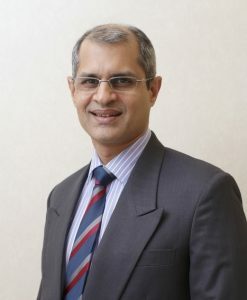 Modern computer-assisted cataract surgery can significantly improve vision by customising cataract surgery to each individual. Precise measurements of the eye are now possible with highly accurate instruments to measure various parameters of the eye before surgery. A reference image of the eye captured before surgery is used to improve the accuracy of artificial lens placement during the operation. A variety of options are now available for the artificial lens implant (monofocal, toric, multifocal, multifocal-toric and extended range of focus lens implants) that replaces the cataract during surgery to effectively correct short-sightedness, long-sightedness and astigmatism as necessary. Fortunately, cataract surgery is a very highly efficient and predictable surgery with excellent outcomes for the vast majority of individuals. Complications of the surgery are rare. It is strongly encouraged that one has a detailed discussion with his or her surgeon regarding the operation including its risks, options and benefits before proceeding with the procedure. The surgery is usually performed as an ambulatory day surgery and recovery is usually complete about 1-2 weeks after surgery. Eyedrops are prescribed during the postoperative period to help with the healing process. HOW CAN CATARACT BE DETECTED EARLY? Early cataract is usually detected during a routine eye examination. Frequent changes in glasses prescription and the inability to improve vision with corrective lenses are some of the early signs that a cataract is developing in the eye. A comprehensive eye examination is recommended for those 50 years and older to detect age-related cataract. Any individual with symptoms suggestive of cataract should see an ophthalmologist promptly. Do not take vision loss for granted or accept vision loss as normal part of ageing. Have your eyes screened for cataract if you are 50 years or older.